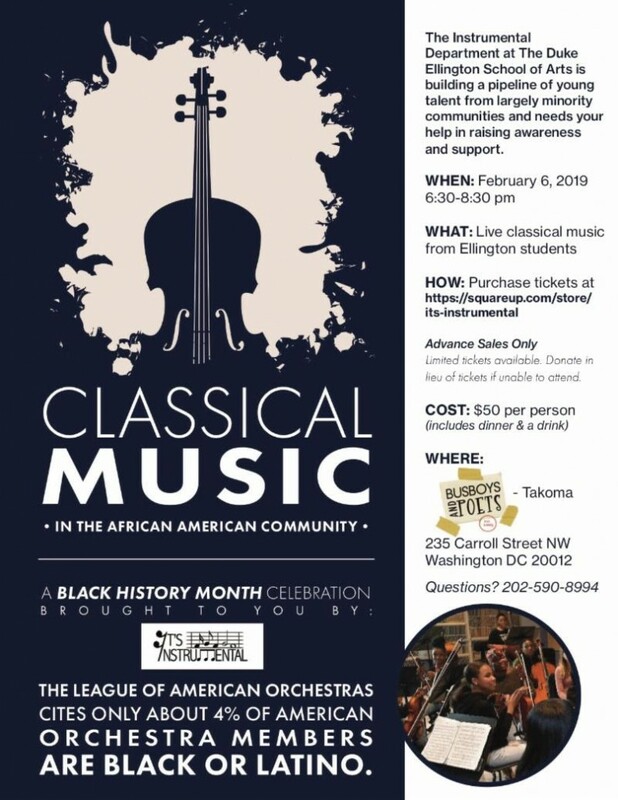 Wednesday, February 6, 2019, 6:30PM – Instrumental Music Fundraiser – Join the Instrumental Music Department for a celebration of Black History Month, and classical music in the African American community. Tickets are $50 and include dinner and a drink and be purchased here. Location: Busboys & Poets Takoma, 235 Carroll St NW, Washington, DC 20012.